The Discovery Zone – the FCM’s changing exhibit space – transforms every 3-4 months to bring a new themed experience to our visitors! Past exhibits have included Camp Bullwinkle, Tinkertown, Sense-sations, Caterpillar Corner, and more! 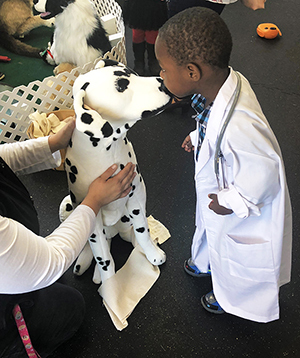 The Discovery Zone currently features Best Friends Veterinary Clinic. Check out our Facebook page for updates and pictures about the new exhibit!